Randall Holmes, a progressive leader and friend of Democrats everywhere, needs our help. As you probably know, last week Randall suffered a stroke and a subsequent car accident. He remains in critical condition as of this writing. 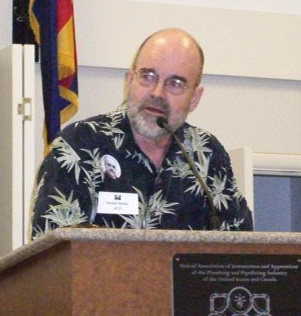 Randall has worked tirelessly protecting Arizona’s election integrity, protecting and advancing our progressive values, calling out the true motivations behind Republican policy positions as a Billionaire for Wealthcare, and famously bringing us together as a party by inspiring impromptu Kumbaya sing-a-long during a contentious party election. Today, our friend Randall needs us to come together as a party once again. Will you please make a donation of $26 or more to help cover Randall's significant medical expenses? As always, any amount is appreciated. A generous D26 Democrat has pledged to match the first $200 in donations. Please join us in being there for Randall just as he has been there for us. Note: 100% of donations will go towards covering Randall’s medical expenses.